As an ordained minister, Kate integrates ritual, celebration and rites of passage into her therapeutic and coaching services. She offers customized rituals, initiation and empowerment ceremonies and rites of passage, to help her clients mark a special time, make changes, move through life transitions and bring healing, blessing, closure, deeper clarity and meaning to an event. 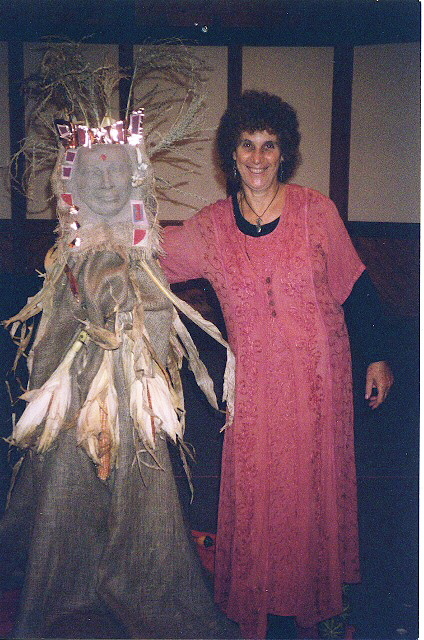 She can help you create your own simple rituals that are not necessarily associated with any religious /spiritual path or tradition. 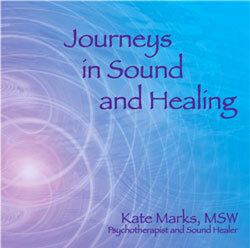 Kate also leads seasonal celebrations, new and full moon ceremonies, and earth-based rituals. 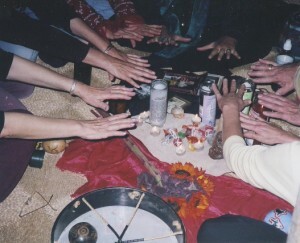 She weaves songs, chants, toning, drumming, crystal singing bowls and sound healing into all facets of ritual making. See her book and CD, Circle of Song, Song,Chants and Dances for Ritual and Celebration. Kate has been deeply involved in the women’s spirituality Goddess movement for many years and is especially interested in empowerment for women and girls. 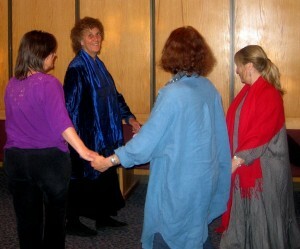 Starhawk, Z Budapest, Margot Adler, Brook Medicine Eagle, Vicki Noble have been some of her teachers.